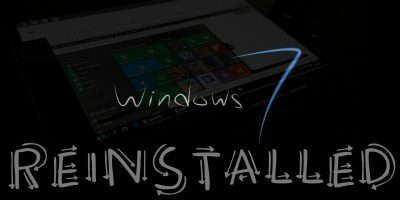 It is very common for WIndows OS to become sluggishly after some time, but when it reaches the point where you can’t get anything to run properly, you know that it is time to do a re-installation. For my Windows 7 machine, after countless installation/uninstallation of various applications (all for testing purpose), it starts to give way and behaves abnormally. Apps start to run sluggishly and I can’t even get the Windows update to function. The best choice for me is to reinstall the OS. 1. Reinstallation of Windows 7 will wipe the system folder, Program Files and My Document folders. All the applications that you have previously installed will be lost. However, any other user-created folders in the C: drive will still be intact. 2. As usual, do a backup of all your data before you attempt to follow this tutorial. 3. Make sure you have the installer DVD, or the USB drive in hand. 1. Turn on your computer and load up Windows. 2. Put in the installer DVD (or plug in the installer USB). 3. A window will popup to ask if you want to “Run setup.exe” or “open the folder”. Select “Run setup.exe”. 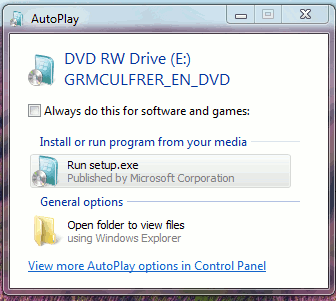 If this popup window didn’t appear, open your Windows Explorer, navigate to the DVD drive and run the setup.exe file. 4. 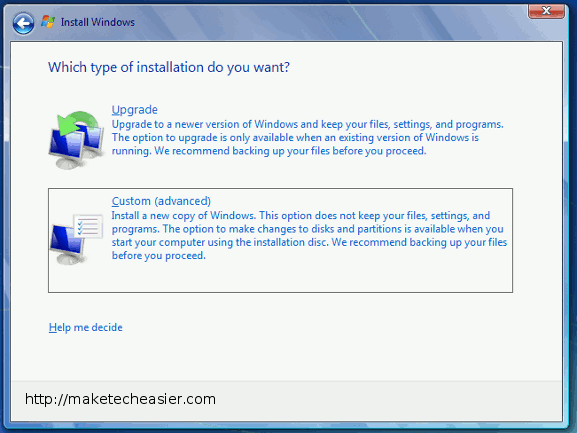 The Windows 7 installation page will appear. Click “Install Now”. 5. 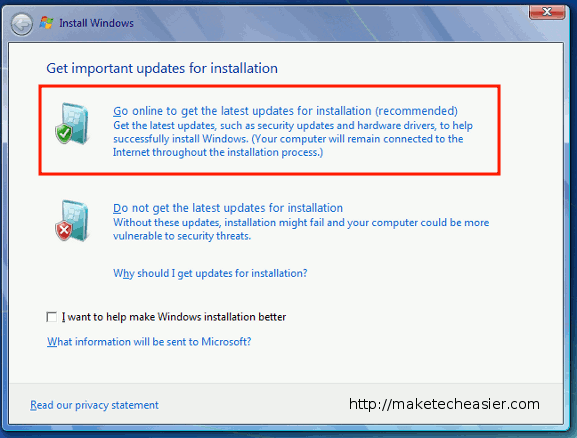 On the next page, select the option “Go online to get the latest update for installation”. 6. 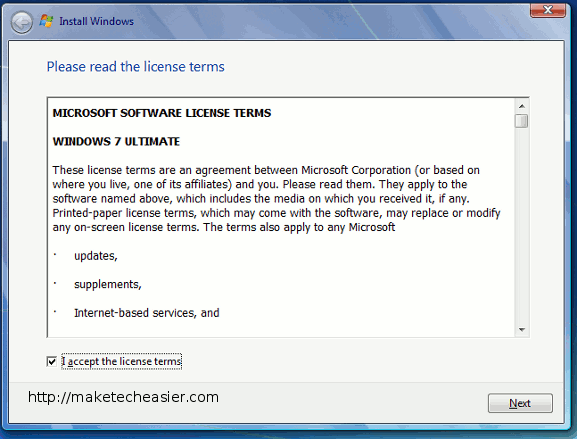 Accept the license term and click Next. 8. 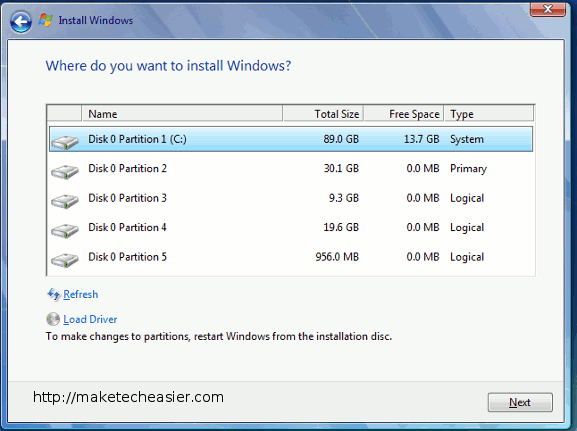 Choose the partition that you are going to reinstall the Windows OS. This is usually the C: Drive. It will then show a prompt saying that your existing files will be backup to the windows.old files. Click Ok.
9. Lastly, you just let the installation do its work. Once it is done, it will reboot and prompt you to setup your account. After you have login to your account, you will find that all your data will still be intact. At this point, you might want to reinstall all the usual software. 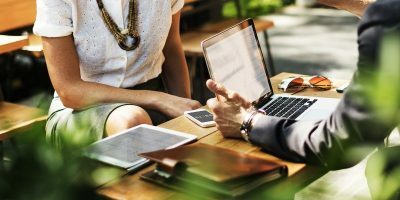 What to do after a reinstallation? Now you have a clean system, it is best to do a system backup and create a system restore point. 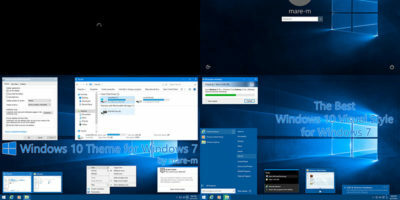 In the future when your Windows messed up again, you can simply restore to this clean state. 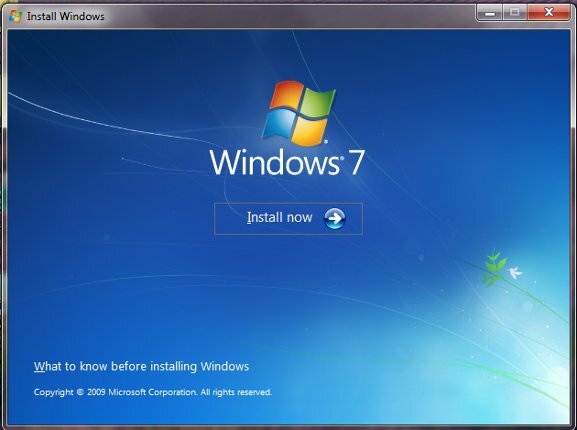 Reinstallation of Windows 7 will wipe the system folder, Program Files and My Document folders. After you have login to your account, you will find that all your data will still be intact. 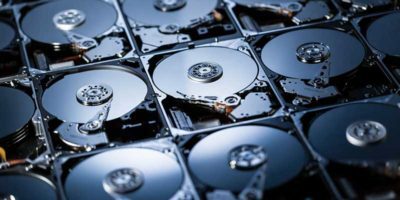 So is your data in My Documents safe or do you have to restore it from a backup? 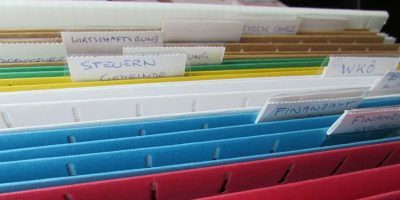 Create a new folder in your C: drive (outside of the my documents folder) and move all data from My document to the newly created folder. This data will be intact after the reinstall. All windows folder (Program files, My Documents, Windows, System32 etc) will be wiped, but user created folders will be intact. 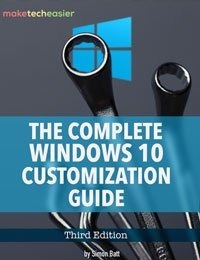 This is interesting (useful information, definitely) but makes me wonder why with all the improvements that Windows has invoked in 7, why is it *still* necessary to reinstall this OS? I use another OS that doesn’t need this doing even after *years* of installing and uninstalling programmes. Always beter is: backup your data, “format c:” and fresh, clean system install. Do you have to activate windows again? It will prompt you to enter the license key and validate with their server, so to answer your question: yes! If you are reinstalling on the same machine, you should be fine. 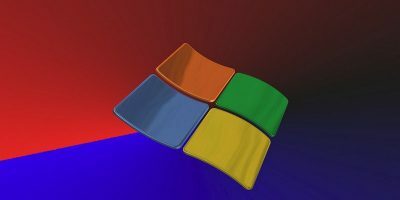 Is Desktop folder be intact after reinstallation? 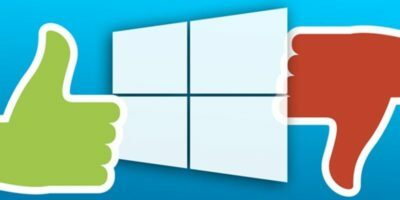 Why Did Windows 10 Flop?